We’d love your help. Let us know what’s wrong with this preview of Power Plays by Maureen Ulrich. To ask other readers questions about Power Plays, please sign up. I swear I really am Canadian, born and raised, but I have to confess: I don’t get hockey. I’m not a big sports-watcher in general. 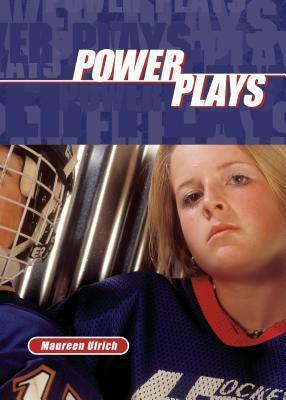 So I can say with authority that a knowledge of or interest in the game is not required to enjoy Maureen Ulrich’s first book in the Jessie Mac trilogy, Power Play, about a not-entirely-likeable teenager navigating the treacherous waters of high school and team sports. I had mixed feelings about Jessie while reading this book, and my ultimately positive take on her is I swear I really am Canadian, born and raised, but I have to confess: I don’t get hockey. I’m not a big sports-watcher in general. 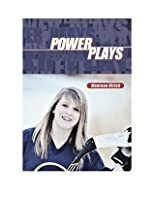 So I can say with authority that a knowledge of or interest in the game is not required to enjoy Maureen Ulrich’s first book in the Jessie Mac trilogy, Power Play, about a not-entirely-likeable teenager navigating the treacherous waters of high school and team sports. I had mixed feelings about Jessie while reading this book, and my ultimately positive take on her is largely due to the second two books in the trilogy. I do highly recommend reading all three. On the one hand, I loved that she was such a difficult, prickly, self-centered teenager, because, you know, teenagers often are that way. One could sympathize with her plight, becoming the target of bullying, but that didn’t mean she was an easy character to love straight off the bat. She was so plausible as a teenager, and yet reading the book as an adult I felt the annoyance a parent might feel, rather than really identifying, and I wonder if her self-centeredness and mopey self-pity might put off some teen readers. That said, even before I had a chance to fall in love with her in the next two books, I liked that the book was about kind of a bratty girl in trouble, instead of taking the easy route of making her wonderful and likeable and just randomly targeted by meanies. Maureen Ulrich’s years as a teacher and parent of teenage girls is evident here in her pitch-perfect portrayal of the rivalries, camaraderie and conversation among teens. I did sometimes feel that I wanted the supporting characters to be more fleshed out than they were (Jessie’s parents in particular, but also some of her friends and frenemies – laughed so hard at Riley, being dumped a second time, saying coolly, “It’s all right, I’m getting used to it”), but the book’s quick, lively pace is definitely a strength – and again, by the end of the three books, some of my “complaints” about the first were answered. The hockey writing was very engaging – I enjoyed reading about Jessie and her friends playing more than I enjoy watching hockey, probably because the relationships and the difficulties the characters were having were there on the ice with them. The language took me right back to my own high school years, when there wasn’t really any way of escaping hockey talk and I faked interest for a while. The book also offers a vivid portrait of just how scary teen life can be, and how utterly horrible teenagers can be to each other. The book doesn’t tie anything up too neatly. There is no clichéd Triumph Over Adversity moment. But Jessie’s being part of a team is what saves her, in a sense, and the book leaves the reader satisfied that things are turning around for her, and eager to know what will happen next. A great read, about girls' hockey, and other girls' power plays, in the dressing room and beyond! Not really my genre but it was good. One of the best books to deal, realistically, with the trials of being a teen girl in todays volatile enviroment. Every girl ( and her Mom) should read it. Power Plays, by Maureen Ulrich, is a lovely read. I finally got around to finishing it last evening. It's the first of a trilogy. I cared about her main character, Jessie. Small town life alienates Jessie when her dad's career forces a move from Saskatoon to Estevan. Small-town teenage shenanigans alienate her to the point where a fledgling girls' hockey team is her only outlet. Even Jessie isn't sure how her hockey debut is going to work out. The hockey team, too, is on shaky ground. The player Power Plays, by Maureen Ulrich, is a lovely read. I finally got around to finishing it last evening. It's the first of a trilogy. I cared about her main character, Jessie. Small town life alienates Jessie when her dad's career forces a move from Saskatoon to Estevan. Small-town teenage shenanigans alienate her to the point where a fledgling girls' hockey team is her only outlet. Even Jessie isn't sure how her hockey debut is going to work out. The hockey team, too, is on shaky ground. The players aren't sure the team is worth the investment. The action includes fairly realistic depictions of teen culture. There is drinking, drug use, and allusions to other teen issues. But it doesn't wallow in that culture. The descriptions of Saskatchewan hockey culture, not that I'm an expert, are spot on. It probably helped that I'd been to many of the venues the main character visits in her stories. It speaks directly to womens' sport, womens' issues, rural living, even touches lightly on gender identity.